Monday 17 May 2010. 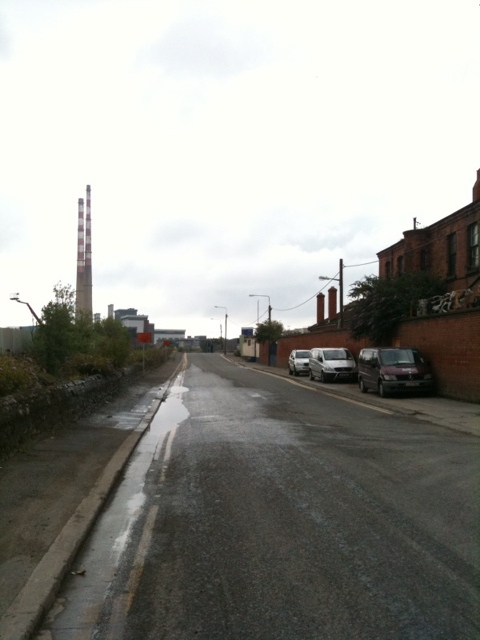 Visit to Ger Clancy’s Studio, Ringsend. Ger’s studio is on the Poolbeg Peninsula. It’s an incredible location, ten minutes from the city centre but it feels like you’re in a movie set in Baltimore or NewJersey and the mafia are about to turn the corner any second and dump some bodies. 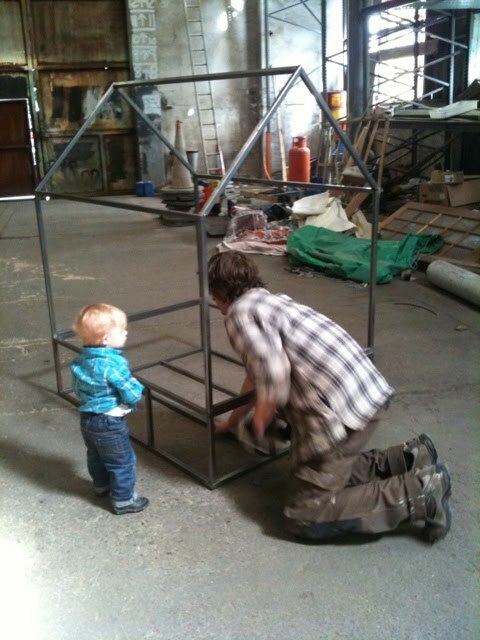 Me and Dash (my 16 month old son) turn up at 345pm to see the steel skeleton of the first full size green house. There’s a huge warehouse out the back and this is where we view the house. It’s perfect, I was worried it would look too small but it’s just the right size. The houses need to look potentially habitable with adult dimensions. The red houses are going to be one fifth larger. 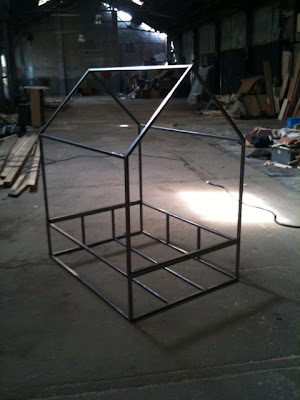 The perspex walls have been ordered and I'm going to pick them up next week. Jimmy Murray is mooring the house on the river Dodder, not far from the new Landsdowne road stadium. We’re going to test it for a week and see how it behaves.